In Japan’s rural Yamanashi prefecture in the mid-1930s, times were harsh and resources were scarce. The local environment had to provide all the agrarian communities with most of the necessities that they needed for survival. This constituted a valuable and unforgettable lesson for Satoshi Ōmura during his formative years. A oneness with, and profound respect for, Nature was irrevocably instilled in him. Seventy years later, he was to encounter similar conditions to those where he was born and raised when he visited Africa to see first-hand the unmatched beneficial impact of one of the drugs he has discovered – a gift from Japanese soil that has improved the lives and welfare of hundreds of millions of people around the world. Japan is a predominantly uniform society where the group is held above the individual and familial and social responsibilities remain paramount, as Satoshi’s parents taught him from an early age. Those people who understand Japan and the nation’s customs and traditions will sympathise with the dilemma that Satoshi faced and struggled to come to terms with throughout his career. A Japanese proverb illustrates the point – “deru kugi wa utareru” (a nail that sticks out will be hammered down). Within such constraints, when one has to adhere to long-standing duties and responsibilities as well as social and cultural norms, it is difficult to think or act differently. To do so, pioneer new paths and develop innovative concepts and techniques, and yet maintain respect and peer acceptance is a singular triumph which requires courage, vision and determination. Fortunately, there is another version of the proverb that is very true in Satoshi’s case, “deru kugi wa utareru ga, desugita kugi wa utarenai” (a nail that sticks out will be hammered down, but a nail that sticks out a lot will not). Satoshi was born into a farming household in Nirasaki in Yamanashi in 1935, the eldest son in a Japanese family, which meant profound traditional family responsibilities. His father was a proactive, leading member of his village and his mother an elementary school teacher and gifted piano player. His parents nurtured in him sensitivity and the deep-seated need to constantly think about others, plus his duty to his parents and siblings, as well as ensuring that he developed excellent life skills to be able to cope with whatever he encountered. With his parents mostly working, Satoshi spent much time with his grandmother, who also repeatedly emphasised that for personal development and satisfaction, it was always best to work for the sake of others – a tenet that has accompanied him throughout his working life. As is common among many youngsters from a physically active, rural farming background, Satoshi’s school years were marked with a perennial struggle between academic and sporting pursuits. He was an adept and successful athlete, excelling in winter sports, such as cross-country skiing, a useful skill in Yamanashi’s Southern Alps. His competitive nature, honed by his rise up to national representative levels in skiing, also helped him succeed in his academic endeavours. His sound educational training in Nirasaki led him to qualify for entry to the Faculty of Liberal Arts and Sciences at the University of Yamanashi – perhaps an omen of things to come, as Satoshi has maintained a deep interest in both science and art throughout his life. As many sportsmen will attest, life in university often becomes difficult because of the huge amount of time that needs to be devoted to training and competing. But vital lessons in learning about one’s own limits and capabilities in dealing with times in competitions when all seems impossible or beyond one’s own limits, can easily be applied to academic challenges, and so Satoshi honed the mental fortitude to succeed in his educational and academic work. Thanks to Professor Senjiro Marut, who would become one of the several key mentors in his life, Satoshi quickly developed an interest in organic chemistry. He also learned about himself, how to try and exceed his limits where possible, to devise his own original approach and methods, based on the evidence of others, but to do things originally, to ‘think differently’ and, furthermore, to apply those novel thoughts to overcome obstacles, no matter where or when he encountered them. Figure 1. Late-1950s: College was a continuous struggle between study and sports. After graduating, Satoshi began teaching evening classes at a high school in Tokyo. He was deeply impressed by the fact that many of his students attended classes and worked with oil-stained and callous hands, having already been working for a whole day at their predominantly menial jobs, but determined to study and improve their prospects. This stimulated him to also consider how he could best advance his own prospects. However, he quickly became concerned that his sporting efforts may have diminished his scholarly expertise and teaching abilities, so he became determined to recommence his studies to allow himself to teach with greater proficiency for the benefit of his students. He started at the Tokyo University of Education (currently the University of Tsukuba), where he studied chemistry under Professor Koji Nakanishi – a leading expert in the field of natural products organic chemistry and Professor Yojiro Tsuzuki of the Tokyo University of Science, whose laboratory was involved in investigations of the chemical structure of organic compounds using nuclear magnetic resonance (NMR) – a truly cutting-edge technology at the time. While today NMR is commonplace, in those days there was only one such machine nationwide, located at the Tokyo Industrial Laboratory. Although it was used during the daytime by researchers, Satoshi was allowed access to the equipment at night. Working throughout the early morning hours, Satoshi became skilled at analysing the molecular and stereoscopic structures of chemical compounds. His schedule became university study during the day, teaching at night and conducting NMR experiments until dawn. Figure 2. 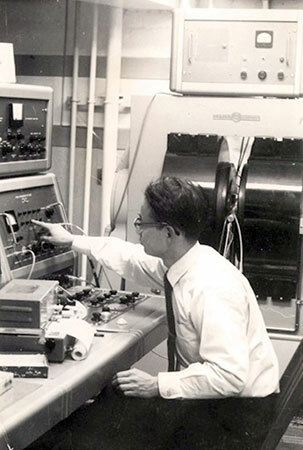 1960s: Satoshi’s night-time use of nascent Nuclear Magnetic Resonance (NMR) equipment provided unique insights and skills in molecular structure determination. Despite his exhausting schedule, Satoshi still managed to find time to meet and marry his wife, Fumiko. Throughout those taxing times, Fumiko was a source of great support, often cooking and bringing his evening meal to the laboratory. 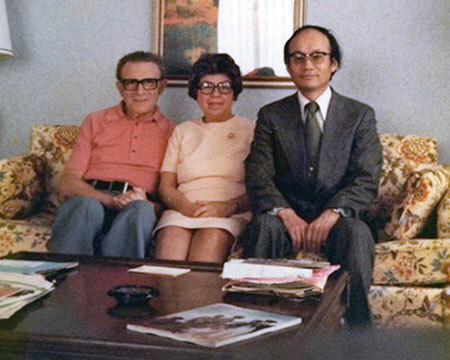 In addition, Fumiko was a mathematics teacher and an expert with an abacus, to the extent that Satoshi often telephoned her and read out some data which she swiftly computed – without the need of a computer. It took him 5 long years to obtain his M.S. degree but the extensive knowledge and technical skills acquired during that period became an invaluable foundation for all his later research work. Satoshi eventually received his Masters degree from the Tokyo University of Science in 1963, followed by a Ph.D. in Pharmaceutical Sciences (1968) from the University of Tokyo, and a further doctorate in Chemistry in 1970 from the Tokyo University of Science. Satoshi began his career as a Research Associate at Yamanashi University in 1963, when he started working in the laboratory of Professor Motoo Kagami in the Department of Fermentation Technology at the University of Yamanashi. The post was arranged by Professor Senjiro Maruta, a mentor from his undergraduate days. Professor Kagami was conducting research on wine and Satoshi recalls being indelibly awed and inspired by yeast microbes that could transform sugar into alcohol overnight, much quicker than even the best of chemists. So began his career-long fascination with, and admiration and respect for, microorganisms. Two years later, in a quest for a more stimulating environment to facilitate research into microorganisms, Satoshi embarked on his career-long association with the Kitasato Institute. Thus, from 1965 onwards, he has been actively engaged in comprehensive research in the field of bioorganic chemistry, focusing on bioactive substances of microbial origin. Satoshi was a key team member of the Kitasato team due to his expertise in the structural determination of chemicals developed through his NMR work. Under the guidance of Institute Director Toju Hata, the first chemical compound he determined the structure of was the antibiotic Leucomycin. He subsequently accomplished the isolation and structural determination of Cerulenin, a compound with antifungal properties but which, based on the compound’s structure which he identified, Satoshi believed should be able to inhibit lipid biosynthesis. He later confirmed this to be the case. Cerulenin, produced by a true fungus, Acremonium caerulens, proved to be the first inhibitor of fatty acid (lipid) biosynthesis ever found. It became the lead compound for development of the medically important statins, inhibitors of cholesterol biosynthesis and it remains a pivotal research reagent to this day. Satoshi quickly realised that this line of work could only be carried out once someone had actually discovered a new compound. He also recognised that finding chemical compounds produced by microbes was a time-consuming and painstaking task. This represented a new challenge that deserved his attention, even though he was, essentially, a chemist. It also meant devising a completely different approach. So began his foray into the development and application of novel screening methods – methods not just to discover antibiotics, but to find any chemical that might be useful to human health and other fields, no matter what they may be. As an example, Satoshi knew that the biosynthesis of alkaloids, which often have specific and pronounced bioactivities, usually follows complex pathways and includes stereospecific steps. Alkaloids (e.g. quinine, atropine, morphine) or alkaloid-containing plants have been used for centuries as remedies, poisons and psychoactive substances. Consequently, he devised a plan to search for alkaloids using Dragendorff ‘s reagent, which simply changed colour in the presence of any alkaloid. Subsequent determination of the structures of any chemical compounds isolated from microbes facilitated identification and understanding of their bioactivity and other properties. Implementing this coordinated approach led him to discover staurosporine, the first indolocarbazole ever identified, which he found had some interesting bioactivity. Indicative of his thinking of working for others, a decade later staurosporine was found by another research group to be the world’s first compound capable of preventing the functioning of protein kinases. This revolutionised the search for anticancer agents, staursporine being the lead compound for development of imatinib (Gleevec®) and several other alkaline chemicals that have been developed into the novel anticancer agents currently in widespread and highly successful clinical use. Staurosporine is said to be the most widely used biochemical reagent originating from a naturally-occurring microorganism, with the number of scientific papers based on staurosporine research averaging over 600 annually during the past 20 years. 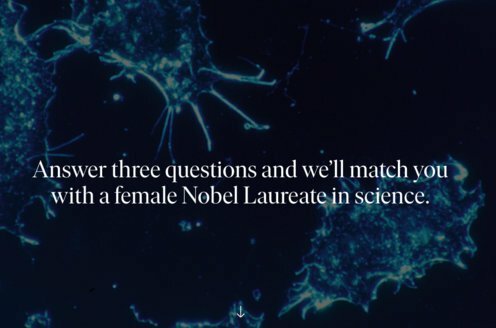 He also introduced an innovative cell-based screening technique using specific live animal cells. Hymeglusin (1987), a cholesterol biosynthesis inhibitor, and triacsin (1986), an inhibitor of the acyl-CoA synthetase that activates fatty acids, were found using Vero cells and yeast mutants. Diazaquinomycin (1982), an antimetabolite of folic acid, was found using folate-requiring cells. Exploiting a method that used cancerous neuroblast cells from mice, he looked for substances that induced dendrites in such neuroblasts. This approach led to the discovery of Lactacystin, which was found to be an inhibitor of Proteasomes. Lactacystin quickly became a globally renowned research reagent, utilised by a phalanx of researchers, including some past Nobel Laureates. Satoshi’s success in this field is manifest in the fact that the Nobel Laureate chemist, E.J. Corey, named an active derivative of lactacystin (clasto-lactacystinβ-lactone) as omuralide. In 1971, Satoshi decided to take a sabbatical and work overseas in order to exploit new opportunities to further his work and discoveries. With the help and guidance of Professor Yukimasa Yagisawa, he arranged a lecture tour of universities in Canada and the US and approached them to investigate the possibility of a research position. Receiving a favourable response from all of them, he was attracted by a proposition to work with Professor Max Tishler, ex-Director of Merck, Sharp and Dohme Research Laboratories (MSDRL), who had retired and was setting up a new chemistry department at Wesleyan University in Connecticut. When he arrived to take up his post as Visiting Research Professor, circumstances quickly evolved that would allow him to effectively carry out his research as he pleased as well as meet a continuous flow of leading international chemistry experts who were visiting Professor Tishler, who was so busy that he effectively asked Satoshi to help oversee the running of the laboratory. This led to Satoshi meeting and collaborating with Professor Konrad Bloch of Harvard University, resulting in a joint publication on cerulenin. Although he was originally scheduled to stay at Wesleyan for three years, the Kitasato Institute recalled Satoshi after a mere 14 months to take over the running of the institute’s research programme following the retirement of the existing director. At that point, Satoshi realised that he had to try and secure funding to support the advanced work that he wished to do in Japan and so embarked on a whistle-stop tour of National Institutes of Health (NIH) and several major drug companies in search of funds and to promote the concept of joint research. His idea was to obtain research funding from a corporate sponsor to facilitate and expedite discovery of useful chemical compounds. Development and usage rights would be transferred to the company and, following any commercialisation of a compound, royalties commensurate with the resulting sales income would be paid to Satoshi’s research group. Figure 3. Mid-1970s: At Max and Betty Tishler’s home. Meeting and being befriended by Max was the critical point in Satoshi’s scientific career. Thanks primarily to his friend and mentor, Max Tishler, Satoshi was able to establish a mutually favourable arrangement with Merck & Company, which allowed optimal exploitation of the comparative advantages of each partner in what would become a pioneering private sector/public sector collaboration. Within the partnership, the Kitasato Institute was responsible for collecting soil samples, identifying unique or promising microbes, isolating and screening chemical compounds and conducting in-vitro evaluations. Merck handled animal testing (in vivo) in innovative animal models, development, production, marketing and distribution. The initial target was to develop drugs for use in livestock and other animals. The collaboration produced a variety of new compounds but of greatest significance was avermectin, produced by Streptomyces avermectinius, and the dihydro-derivative ivermectin. The producing microorganism was isolated from a soil sample collected on the periphery of a golf course at Kawana in Ito City, Shizuoka Prefecture. The microbe was sent to MSDRL in the US where it was found to display superior antiparasitic activity against the nematode worm, Nematospiroides dubius, in MSDRL’s unique mouse model. The actinomycete was originally named Streptomyces avermitilis (later changed to avermectinius) and the active substance was named avermectin. Avermectin represented a completely new class of compound, designated as an ‘Endectocide’, as it killed a range of different parasites inside as well as outside the body. It was also capable of killing insect vectors. The safer and more potent ivermectin proved to be a remarkable macrolide anthelmintic antibiotic for veterinary use and was introduced onto the animal health market in 1981. Two years later, it became the world’s biggest selling veterinary drug, a position it maintained for over 20 years. In time, and after its unmatched success in animal health, ivermectin was found to be a remarkably effective and safe drug for combating diseases caused by filarial parasitic worms in humans. The world’s gravest intractable human filarial diseases were Onchocerciasis (commonly known as River Blindness) and Lymphatic filariasis (commonly known as Elephantiasis). The control – and subsequently, eradication – programmes for these two devastating, disfiguring and stigmatising tropical diseases, which afflict around 1 in 7 of the entire world population, are based primarily on the use of ivermectin, which is being donated free of charge for as long as it is required. Orchestrated by the World Health Organization (WHO), ivermectin, under the brand name Mectizan®, is being administered to almost 300 million people annually in some of the world’s poorest and remotest of communities. It is envisaged that Onchocerciasis will be eliminated globally by 2025 (if not sooner) and Lymphatic filariasis by 2020. With respect to Onchocerciasis, disease elimination has virtually been completed in Latin America and is well on the way to success in Africa. The S. avermectinius organism discovered by Satoshi in a single sample of Japanese soil remains the only avermectin-producing organism ever found, meaning that single organism has been the sole source of industrial production ever since. Fortunately, Japan is no longer affected by either of these diseases, Lymphatic filariasis having been eradicated from the country several decades ago. Merck & Co. Inc. currently supplies enough ivermectin to treat over 250 million people annually free of charge, with both these diseases now in great decline. Ivermectin tablets need to be taken only once a year, which makes it relatively easy to deliver the drug to people in hard-to-reach, poverty-stricken communities. One other key factor is the drug’s efficacy at low doses without side effects, the drug is extremely safe and so can be given without the need for medical supervision. Figure 4. Early 2000s in Ghana. Engaging and educating youth in science and social principles – in Japan and internationally – is a deep-rooted passion. Ivermectin has freed up vast tracts of fertile riverside land for cultivation, creating a secure food supply and work for tens of millions of Africans. With ivermectin preventing blindness and enabling people to continue to farm and work, they are able to experience better living conditions. Thanks to this and other supporting factors, today’s African children belong to a generation whose eyesight is comparatively safe, and who will not suffer from disfigurement, lost educational opportunities or social stigma arising from either Onchocerciasis or Lymphatic filariasis. 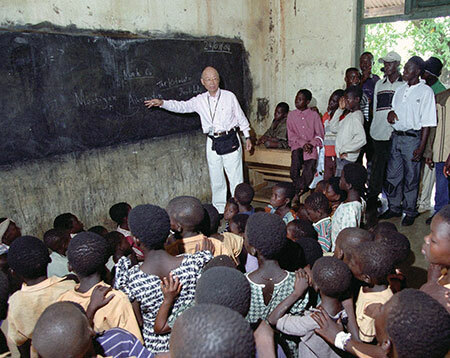 In 2004, Satoshi visited Burkina Faso and Ghana to see in person the immeasurably beneficial impact ivermectin distribution was having on remote rural communities and where, to his surprise, he witnessed conditions similar to those he experienced growing up in rural Yamanashi. Alongside his discovery work, Satoshi has studied in depth the mechanisms used by microorganisms to produce various kinds of substances, in particular carrying out extensive research at the genetic level. His elucidation and application of the genetic control of chemical compound formation has made it possible to manipulate living microorganisms to produce novel compounds, as well as creating the potential and ability to produce completely synthetic compounds. As an example of this, Satoshi and his co-workers obtained various mutants of S. avermectinius in which part of the biosynthetic pathway of avermectin was blocked. They determined the production pathway by isolating various precursors accumulated in each mutant. Each mutated point on the chromosome was identified, eventually allowing the cloning of all 17 genes concerned with avermectin biosynthesis. Furthermore, the work clarified the function of each gene, providing a complete understanding of the biosynthetic mechanism for producing avermectin. The ground-breaking genetic analysis of S. avermectinius was the world’s first for a commercially-important actinomycete, and it also demonstrated that the actinomycete has genes which produce 37 kinds of organic compounds (secondary metabolites), besides the immeasurably important avermectin. Following Satoshi’s lead, creation of novel compounds using genetic engineering is now routinely carried out. His original work and continued pioneering research in this area resulted in the appearance of Mederrhodin, created by Satoshi in partnership with England-based Dr David A. Hopwood. This remarkable compound was the first novel synthetic antibiotic created using genetic engineering and is worthy of recognition as being the pioneer compound in a completely new research field with almost limitless potential. Over the past five decades, Satoshi’s drug discovery group at the Kitasato Institute has undertaken advanced and pioneering research based on the profound belief that organic compounds produced by microorganisms have immeasurable promise for use in improving the welfare and health of mankind. His creation and introduction of several highly original methods of isolating useful microorganisms, has led to the discovery of 53 new species of microbes, including 13 novel genera, such as the Kitasatosporia, Longispora and Arbophoma. Exploiting a broad spectrum of often newly discovered microorganisms isolated predominantly from soil samples, he has discovered around 500 novel organic compounds possessing interesting chemical structures and/or bioactivities, including many now widely-used antibiotics (all indexed and detailed in Splendid Gifts from Microorganisms, 5th Ed., 2015). Among them, 26 compounds and/or their derivatives have entered into widespread common usage as medicines, agents to improve animal health and husbandry, as agrochemicals and as reagents for biochemical research. Satoshi has also built up an excellent body of research findings on the relationships between chemical structure, bioactivity and mode of action of many macrolide antibiotics, such as leucomycin, tylosin, spiramycin and erythromycin. Among them, rokitamycin, a derivative of leucomycin, together with tilmicosin, a derivative of tylosin, have been used with great effect as human medicines and in animal health. Overall, the natural organic compounds which have appeared as a result of Satoshi Ōmura’s initiatives and endeavours have been used worldwide as medicines, agrochemicals and reagents for biochemical research, and have greatly contributed to progress in the welfare and health of mankind, as well as being essential elements in making major steps forward in biomedical knowledge and understanding possible. Figure 5. 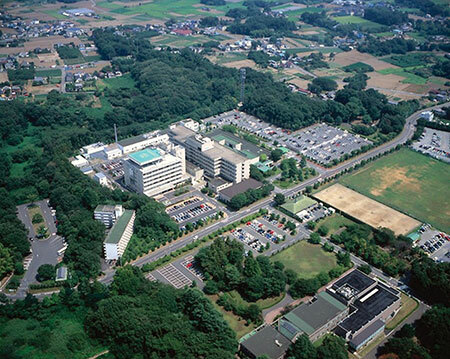 The Kitamoto complex in Saitama prefecture, comprising a 440-bed district hospital, residential nursing college and vaccine production plant, was funded by royalties earned from ivermectin sales. Since 1965, when Satoshi joined the Kitasato Institute as a researcher, he has occupied various posts, culminating in his appointment in 1990 as President, serving as President Emeritus from 2008 to 2012. He has an exemplary record of fundraising and administrative management of the institute, which was in an extremely healthy shape when his tenure as President came to an end. He is currently a Distinguished Emeritus Professor and Special Coordinator of the Research Project for Drug Discovery from Natural Products in the Kitasato Institute for Life Sciences, Kitasato University, where he is fully engaged in the continuing search for the treasures that still lie undetected in nature. He was also appointed as inaugural Max Tishler Professor of Chemistry at Wesleyan University (USA) in 2005, a post that he still holds. Satoshi is being continually recognised internationally in the field of natural products chemistry, and for the application of his discoveries, as evidenced by his numerous awards and honours. Among these are the Hoechst-Roussel Award from the American Society for Microbiology, the Charles Thom Award (Society for Industrial Microbiology, USA), the Robert Koch Gold Medal (Germany), the Prince Mahidol Award (Thailand), the Japan Academy Prize, the Nakanishi Prize of the Japan Chemical Society and American Chemical Society, the Ernest Guenther Award of the American Chemical Society, the Hamao Umezawa Memorial Award of the International Society of Chemotherapy, the Tetrahedron Prize for Creativity in Organic Chemistry, the Arima Award of the International Union of Microbiological Society, the Research Achievement Award of the American Society of Pharmacognosy, the 2014 Canada Gairdner Global Health Award, the Asahi Prize – and now the Nobel Prize in Physiology or Medicine. In 2007 he was decorated with France’s Chevalier de L’Ordre National de la Legion d’Honneur award. In 2012 he was designated as a Person of Cultural Merit in Japan, followed by the Order of Cultural Merit in 2015. He is a member of the Japan Academy, the German Academy of Sciences Leopoldina and the European Academy of Sciences and is a Foreign Associate of the US National Academy of Sciences, the French Academy of Sciences, and the Chinese Academy of Engineering. 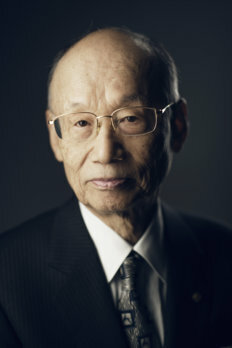 His honorary memberships include those of the American Society of Biochemistry and Molecular Biology, the Royal Society of Chemistry, the Chemical Society of Japan, the Japanese Society for Actinomycetes, the Japan Society for Bioscience, Biotechnology and Agrochemistry, as well as his Special Honorary Membership of the Japanese Society of Bacteriology. Since 1973, he has been a long-standing member of the Editorial Board of the Journal of Antibiotics, serving as an Editor-in-Chief from 2004 to 2013 and now as Editor-in-Chief Emeritus. He has published well over 1,000 scientific articles, and continues to publish extensively. Among his publications, the Macrolide Antibiotics (2nd edition) remains a world-leading textbook. He has also published several volumes of personal essays and annually produces his own personalised calligraphy. Satoshi retains his commitment to engage and groom young researchers in the field of natural product research and to educate them in the correct approach with respect to scientific research, multidisciplinary collaborations and the fundamental importance of good interpersonal associations in working partnerships. As an example of this, 20 years ago, he established the Yamanashi Academy of Sciences in his home prefecture. As part of the academy’s operations, 130 high-ranking scientific members regularly visit local schools and colleges to give presentations, meet students and try and encourage them to take up and pursue an interest in the natural sciences. Although his cross-country skiing days are now behind him, Satoshi is a consummate golfer, when he can find the time. He remains a long-standing and leading patron of Japanese art, remaining very active in this sphere of activity. Having held the post of President of the Joshibi Women’s Art University for over 14 years, Satoshi has long championed the concept of Healing Art, it being increasingly accepted that artwork helps create an environment which promotes healing. The extensive collection of original artworks, predominantly by Japanese artists, he has assembled is displayed on the walls of all the hospitals and laboratories with which he is connected. He has also designed and constructed his own art museum, which is open to the public and which he has bequeathed to his hometown of Nirasaki. (see: http://www.nirasakiomura-artmuseum.com/ – Japanese only). He also constructed and opened a hot spring facility there because he has always felt the need to repay his hometown for everything that it gave him. He profoundly believes that his life as a scientific researcher is inherently linked to the region where he was born and raised and where his approach to life and wonderment and respect for Nature was instilled in him from a very early age.